The Denver Broncos were the best offensive team in the league last year and payed off for fantasy owners. Peyton manning had a career year in 2013 breaking the single season record for passing yards and passing touchdowns while also throwing double digit touchdowns to four different receivers. While it’s hard to believe he can repeat a record setting season like that it’s almost as hard to believe he won’t, with Demaryius Thomas, Wes Welker and Julius Thomas, Emmanuel Sanders stepping into Eric Decker’s role, and Montee Ball taking over running back duties the 2014 Broncos are poised to be just as explosive as they were in 2013. Manning had his best season as a fantasy quarterback ever in 2013 scoring 406 points in standard leagues and topping 25 points in nine out of sixteen games. Manning single-handedly won owners their championships last year and is poised to have a similar year this year. Though he lost Eric Decker he may have found a better overall receiver in Emmanuel Sanders. Plus with the return of Demaryius Thomas, Wes Welker, and Julius Thomas Manning is a player you can feel safe taking in the late 1st round. We ranked Peyton Manning 1st in our QB rankings. Ball is in a great position to become a true RB1 now that Knowshon Moreno is in Miami. Moreno did very well in the Bronco’s high power system last year scoring 220 points, so one could only imagine what a talented running back like Ball could do with the same amount of carries. 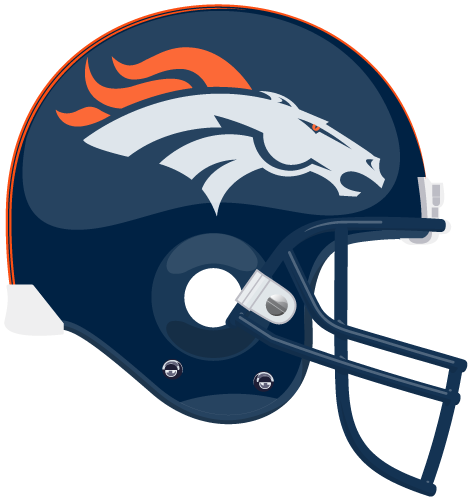 Due to an appendectomy Ball has fallen into the late 2nd round, but the Broncos organization has said he’ll be ready to go for the season opener. We ranked Montee Ball 7th in our RB rankings. With Manning throwing to him Demaryius Thomas became a premiere receiver. Thomas is an all around receiver who can catch the deep ball and turn a short catch into a long game. He is a consistent fantasy producer scoring 203 and 211 points in his two years with Manning as his QB. Thomas is a safe bet and should be the second receive roff the board behind Calvin Johnson. We ranked him 2nd in our WR rankings. Welker has flashes of the player that he once was but last year it became clear as the season went on that he was at best a 3rd or 4th option in the offense though he still enjoyed success with 10 touchdowns, his 78 receptions were his lowest since 2006. He becomes an even riskier option on draft day after suffering his 3rd concussion in less than 10 years. If he plays he shouldn’t be counted on as anything besides a WR3. Welker’s situation should be monitored closely because if he is out for an extended amount of time Andre Caldwell could be in line for some increased reps. We ranked him 29th in our WR rankings. Sanders is poised to breakout this year in a big way if he can stay healthy. Last year as a number 2 receiver in a limited Steelers offense he caught 67 balls for 740 yards and six touchdowns. In a Denver offense in which three receivers had double digit touchdowns last year a receiver with Sanders’ potential could do wonders as your WR3 with WR2 potential. If you have the chance you should definitely target him in the 5th or 6th round. We ranked him 32nd in our WR rankings. While Jimmy Graham is the consensus number 1 tight end in the league, Thomas is a big-time red-zone threat only missing out on scoring a touchdown in 6 games (two of which he sat out). He should be the the number two tight end drafted and is a pretty pricey pick going in the late-third or early-fourth round but there aren’t many tight end who can consistently produce like he can. We ranked Julius Thomas 2nd in our WR rankings.